With one whole day left before I start this year's December Daily, I have finished my December Daily 2011. Finally. Day 25: On the left I created a little pocket to hold some gift cards. The right side definitely isn't a favourite page - the journaling is so blah - but I'm happy I'm done. Even the cover is all but complete. I'll add a few more embossed stars, then seal it, but that can be done whenever I have a little time. Despite taking 11 months to finish this album - and honestly, having to make myself sit down and complete these last couple pages - it never occurred to me not to make another December Daily album this year. Even with all my supplies drama - I've bought the same album three times now! - I didn't consider abandoning the idea. Working on a December Daily album increases my awareness and appreciation of all the wonderful little December moments. And, I believe I learn and get better at December Daily-ing with each year. To me, a December Daily album is about the intent to record the month, and working on that goal throughout December. Trying to complete a page each and every day, of what is probably the busiest month of the year, just isn't what I want to do. If I have time to complete a page, fantastic, but I'm not going to sacrifice enjoying the season to do so. While I certainly don't plan to still be working on this album next November, if I finish in January, or even February, I'll be happy. What I do aim to do every day is keep notes. To jot down what I want to remember and document each day. Those in-the-moment thoughts and reactions are always my favourite. I've created a simple file on my iPad, which travels with me most places, and numbered out the days. I've included the page foundation for each day (divided page protector, transparency, etc) so I can plan and scheme while I travel to and from work. If I have memoribilia or something particular I want to include, I'll write that down in the file too. When I do have time to sit down and create, I want to have all the information right there and be ready to go. Last weekend I was invited to be a guest on Melissa Shanhun's December Daily podcast. (Although I'm sure I sound like a complete dork, I will link up when the show is posted, probably sometime next week.) It got me thinking about what advice or suggestions I had for fellow December Dailyers. • Work out what your stumbling block is, and think of a way around it. For me, I have a terrible time selecting and deleting photos. I umm and ahh for ages. My solution - copying photos into a working folder so I can delete away to narrow down to my favourite, knowing the originals are safe and sound elsewhere. Whatever slows you down when scrapbooking is magnified with a big project like this. Spend a few minutes thinking about your stumbling blocks are, and how you can handle them. If a foundation page isn't working for you, change it. If something occurred in November that you want to include, do so. If you want to skip a day, do so. There are no December Daily rules. Make the project work for you. • Include 'real world' communication. I love including cards and gift tags, and screenshots or transcripts of emails, text messages and Facebook posts. It's a real glimpse into relationships, not filtered through journaling. • Consider asking someone else to complete a day of the album. Give a partner or child the responsibility for a page in the album. They can go about their day, looking for the December moment they wish to include. It could be a photo they've taken, from their point of view. They could even make the page, if so inclined. • Make connections to Christmas past. I like to include stories or photos from when I was a kid. It's nice to reflect and enjoy memories of previous Christmas'. • Keep in mind the project as a whole. Don't be discouraged by individual pages. I have pages I adore, some I like, some that I think are ok and some that make me wonder what on earth I was thinking. The end result is still an album I think is fabulous. Anyway, those just are some thoughts. Do you have any December Daily advice to share? I'd also really like to recommend Ali Edward's 25 Ideas and Story Inspiration post - I think it has some great suggestions - and I've enjoyed hearing about how different people are documenting December on the December Daily podcasts. Beginning tomorrow - December Daily 2012. I'm excited. Thinking: It's going to be a long, hot summer. Listening: To Christmas carols, my first CD of the season. Drinking: A Tia Maria and coke, with ice clinking in the glass. Baking: A quiche for dinner, although I'll tell Boyf it's a pie. Working: On my December Daily 2011 album. Hoping: I finish my 2011 album tonight. Feeling: More like my normal self, after seeming a little bit off-kilter in recent weeks. Wanting: To go to the beach. When I last posted about my 2011 December Daily I had two solitary pages to complete....and that's still where it stands. I've been a little distracted thinking about December Daily 2012. After talking about my plans in this post, disaster struck. Well, shipping disaster at least. Most of the supplies I ordered for my December Daily haven't been sent yet, and with shipping to Australia often taking two weeks...I'll be starting my December Daily without them. It's going to be a bit challenging - I can imagine a line of pages running through my house as I try to keep the days in order - but I'm excited. I've pulled vellum, cardstock, transparencies and glittered paper I didn't remember I owned out of my stash and I'm thinking of different ways I can use digital elements and my diecut machine. I almost can't believe December is only 4 days away. (Holy camoly, I just counted and freaked myself out!) I have the oddest sensation that December is going to be a short month this year. How a set number of days could run short, I have no idea. I think I'm just wanting to get started on Christmas. I'm not organised or ready, but I'm excited! After work last Friday I threw some clothes in a bag and we headed off. I managed to not pack a single pair of pants, and there was a distinct lack of tshirts. For the record, this camping was planned weeks ago. Oih. We stopped for dinner at the Yarra Glen pub with Sean and Di, then set up camp with the aid of car headlights and lamps. A few drinks around the campfire, and a late night snack of dumplings, before heading to bed. After a pancake breakfast on Saturday we decided to walk to the waterfall. I agreed to a 2 hour, 4km hike. It ended up being a 3 hour, 10km hike. Humph. After our day-trippers (Ben, Darren and Jess) headed for home, it was time for mashmallows. A lazy Sunday morning - egg and bacon rolls, cross-stitching and talking in the tent while it rained down outside. I was on lunch duty - not my favourite thing as BBQ cooking always makes me nervous! Thankfully the rain had cleared by then, so afterwards I took my camera and went for a wander. Then it was time to pack up and head for home. December Daily is the only Christmas scrapping I do, and I'm terrible at narrowing down photos. Hence, Christmas Day tends to turn into a multipage event. Here are SOME of my December 25th pages. I added a gift certificate that my Mum had created and given me, running washi tape along the edge. On the back I covered it in cardstock and added a film strip of photos. This title section is my second attempt, after I managed to smudge ink over the first. Everything I did to fix it (including smudging more ink - what was I thinking?!) just made it worse. Now only two pages about Christmas morning and my 2011 December Daily will, finally, be complete! After the success of 30 Before 30, I wanted create new goals for the next 12 months. A list of 30 tasks and goals that I would like to complete before I turn 31 on October 9, 2013. A few are serious, most are fun. Some goals I'll do on my own and sometimes I'll rope in others to help. Some require considerable time, effort and planning, while others can be done in a afternoon. And I'll share the details of them all here as I (hopefully) tick them off throughout the year. 3. Complete a random act of kindness. 5. Make a pizza from scratch - including a homemade base and sauce. 6. Eat vegetarian for a week - Boyf, a major meat-eater, actually suggested this one. He's signing up for vegetarian dinners, while I'm aiming for full meat-free 7 days. 8. Go canoeing on a river. 9. Decorate a room - paint colour, things hung on the wall, the whole bit. If I'm still thinking 'It just needs...', this goal can't be ticked off yet. 10. Take a ceramics/pottery class. 11. Try a new cuisine - something I've new tasted before, like Peruvian or Ethiopian. 12. Watch to an outdoor movie. 15. Participate in a fun run. 16. Move in with Boyf - I promise I'm not being presumptuous, this has been discussed. ;) Honestly, I am having a few pangs at the thought of leaving Yellow House so soon, so this goal is on the list to remind me it is a good thing! 17. 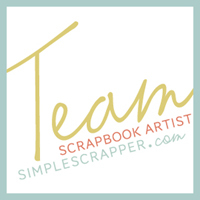 Offer an online scrapbooking class/tutorial - I'm not thinking extravagant, just something free offered through my blog. Anyone have any suggestions for topic? 18. Read a famous work of literature. 19. Eat at an amazing, new to me, restaurant. 20. Go an a road trip. 22. Have fun at a waterpark or swimming pool - There is a local swimming pool that has recently reopened with an amazing waterslide. I want to try it! 26. See an exhibit at the Melbourne Museum or National Gallery. 28. Eat from a gourmet food truck. 29. Travel overseas - My last trip with Hong Kong and Thailand in July 2010; it's been too long! 30. Go climbing outdoors - a last minute addition after blog-reader Mary-Lou reminded me how much I enjoyed climbing in Thailand. So there you have it, my 30 While 30 list. Zero complete, 30 to go. When October 9th and my 30th birthday came around, I'd managed to complete 24 of these goals. I've rediscovered the drive-in and rode roller-coasters on the Gold Coast. I now know I can bake bread, but that pies really aren't my specialty. I've given a friend helium balloons, just because, and seen Melbourne's skyline from The Edge. And I spent the weekend with my grandfather. I'll long be grateful for that. To me, 30 Before 30 was a success. I enjoyed it so much, in fact, that I've written a 30 While 30 list for this year. :) But, there were 6 tasks that I never quite managed to complete. This year I've had weekends away to Echuca, Yarrawonga three times, Shepparton, Brisbane, the Gold Coast, Mt Hotham, Eildon twice, with at least one other camping trip thrown in there too. Although I like the idea, I don't think I had time for a weekend in Sydney! This is a goal I've been working on, but haven't managed yet. I'm definitely a better climber than I was this time last year, having completed a few different grade 13 climbs, but Grade 16 is a way off. For now. I think this is the one I'm most disappointed didn't happen. Meal planning isn't my strong suit, but really I just ran out of time. Note to self, don't leave so many goals to the last month next time! I'd stopped attending yoga classes regularly a few months before writing this 30 Before 30 list and I think this goal was meant to encourage me back to classes. That really didn't work. I went to some antique shops with Mum back in January and should have taken the opportunity to tick this one off then. I simply wasn't enthusiastic about this goal. 24 done, 6 unfinished. And I'm happy with that. On Saturday, Boyf and I went to the races with friends Liz and Dave, courtesy of tickets Dad won in a raffle. It was Stakes Day, the last day of the Melbourne Cup carnival, and we were in the International Racing Lounge. All inclusive food and drink, with a good view of the racetrack. When we turned around at one stage to find a waitress offering sunscreen, it seemed like we only had to think of something for it to appear! Ocean trout and mango salad. Crispy pork belly. Cauliflower pies. Seafood buffet with prawns and sushi. Fresh fruit. Cheese platters. Scones with jam and cream. Banana cake. Icecream sandwiches. Little boxes of crumbed prawns and chips. All delicious and plentiful. After my last post, it feels awkward to jump to photos of scrapbook pages but that's what I have been doing a lot of these last few days. Relaxing, taking it easy on myself and scrapbooking. I saw the term 'scrapbook soothing' used on a forum and it seems the perfect description. I set up the album with this divided page protector as an extra between the two Day 10 6x8 pages. I'm not going to be doing that again! I like the divided pockets and will continue to use them, but just not as extras. If I find I don't have enough space, I can always add a page to the album as I work on it. Not sure why I took a close-up of the back and not the front. ;) A printed transparency and I hand stitched around the number 17. Definitely want to do that again. When I was setting up the album I turned a piece of vellum into an envelope, then added letter stickers and embossed alphabet stamps way back in December. The insert contains a copy of my blog post, and on the back I have screenshots of phone messages and Facebook. This page had me stumped for quite a while. The day's numbering was a little unimpressive stamp up the top and I didn't actually take any photos that day. Once I decided to cover the stamp, it all started falling into place. I created some text about what I had been doing that day and cut it with my Cameo. I printed a photo from a few days later onto vellum and placed it under the text. The photo gives a hint of the subject, and dulls down the pattern to make the text easier to read. Note to remember: if something previously set up if it isn't working, just change it! And with that, I have just one day still to complete. Of course it happens to be Christmas Day, with 9 pages in total planned for it! Oih. At least I've already completed 4 of those pages - one as a photo collage and three pages of my family answering 'What I love about Christmas is...'. One day, five pages and it will be complete. Finally.